This week’s challenge had me searching for the color red at the farm show we participated in the last two days. 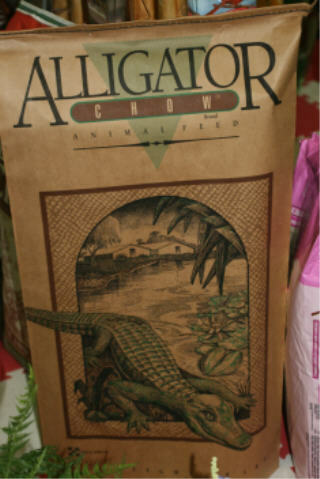 How many bags of Alligator Chow do you really think they sell??? mmmmm, aligator chow… Great photos! Alligator chow? Ewww…I’ll stick with my furry critters. Creative pics! 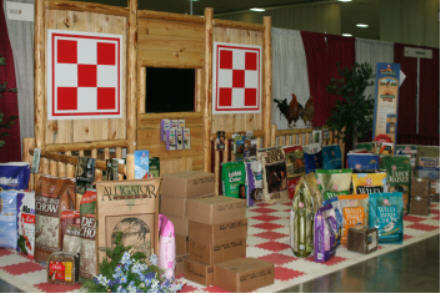 The Purina display is definitely eye-catching. 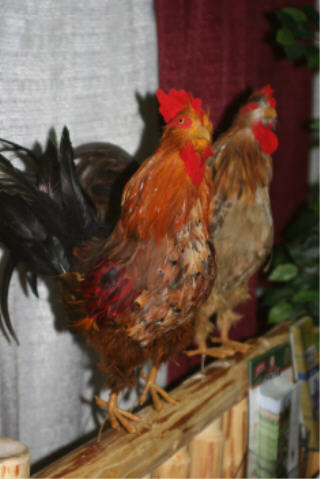 The roosters look real, but behave themselves better than my roosters. Alligator chow! Wonder about that, don’t you? The roosters are great, I guess if I had an alligator I would rather feed him chow rather than my dogs! Alligator Chow? I don’t wanna know. lol Great job! I’m hoping they don’t actually sell much aligator chow. Alligator chow? Would go over great in Cajun country I bet. They love alligator down there. Loved the roosters.